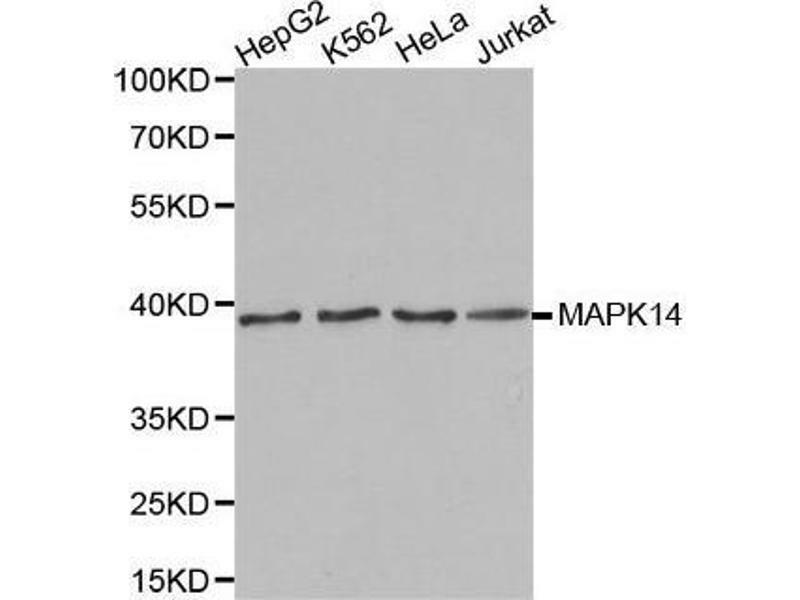 Western blot analysis of extracts of various cell lines, using MAPK14 antibody. Background P38 MAP kinase (MAPK), also called RK or CSBP , is the mammalian orthologue of the yeast HOG kinase that participates in a signaling cascade controlling cellular responses to cytokines and stress. 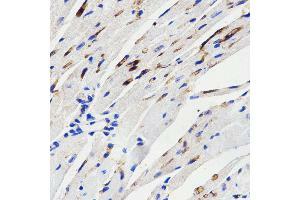 Four isoforms of p38 MAPK, p38alpha, beta, gamma (also known as Erk6 or SAPK3), and delta (also known as SAPK4) have been identified. 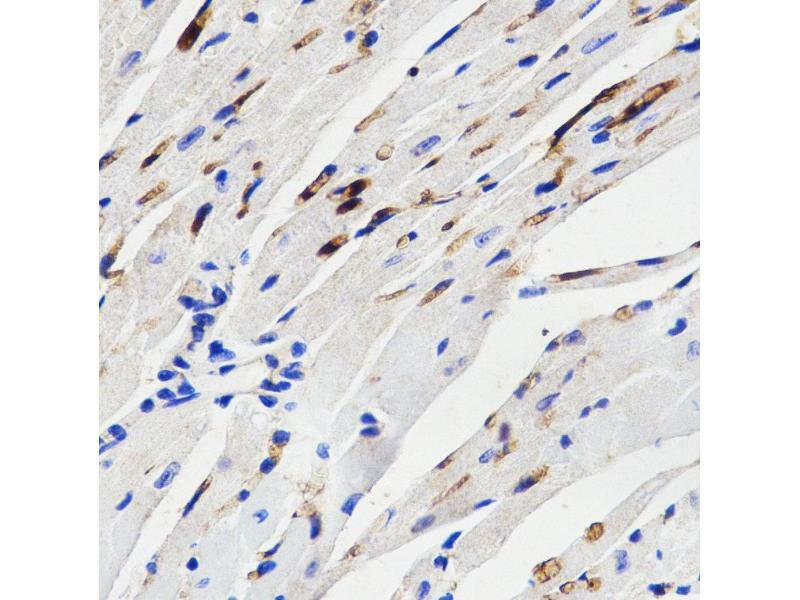 Similar to the SAPK/JNK pathway, p38 MAPK is activated by a variety of cellular stresses including osmotic shock, inflammatory cytokines, lipopolysaccharide (LPS), UV light, and growth factors. MKK3, MKK6, and SEK activate p38 MAPK by phosphorylation at Thr180 and Tyr182. 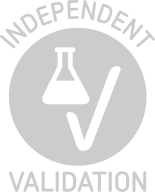 Activated p38 MAPK has been shown to phosphorylate and activate MAPKAP kinase 2 and to phosphorylate the transcription factors ATF-2 , Max , and MEF2.SB203580 (4-(4-fluorophenyl)-2-(4-methylsulfinylphenyl)-5-(4-pyridyl)-imidazole) is a selective inhibitor of p38 MAPK. 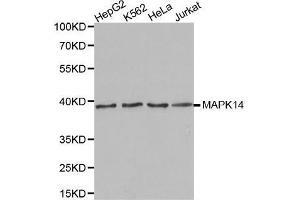 This compound inhibits the activation of MAPKAPK-2 by p38 MAPK and subsequent phosphorylation of HSP27. SB203580 inhibits p38 MAPK catalytic activity by binding to the ATP-binding pocket, but does not inhibit phosphorylation of p38 MAPK by upstream kinases.